 Sold by AliSon and Fulfilled by Amazon. Gift-wrap available. The world is rediscovering the Pilates method as a great way to get into top physical shape. This photo-illustrated manual points the way to a toned and flexible body, following the time-proven Pilates "thinking exercise" routines. Approximately 75 years ago, calling on the mind to work precisely with body muscles, Joseph Pilates developed exercises that produce flatter stomachs, longer limbs, stronger backs, and the poise of a dancer. 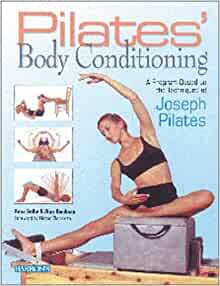 This book takes men and women of all ages and abilities through the fundamentals of good posture, then presents warm-up exercises, followed by a complete regimen of exercises for every important muscle of the body. Captioned step-by-step full-color photo illustrations demonstrate each exercise. Sold by AliSon and ships from Amazon Fulfillment. 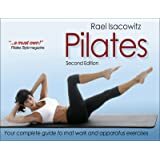 This is a good book for Pilates beginners who don't have enough time to go through the thoroughness and nitty gritty that other Pilates book (such as Body Control Pilates) offers, because the information are presented succinctly yet completely. The self-assessment portion helps figure out how to align your spine and posture, and the warm up exercises really serve to limber up your body in preparation for the workout. In fact, if performed accurately and correctly, the warm up exercises can constitute a workout in themselves. The book comes with full-color photographs. For each particular step, photos are shown. Arrows help the reader figure out which direction to move their limbs. Alternative exercises for those with injuries are also included. For those who wish to do Pilates in a Pilates gym/studio, a chapter is also devoted on a typical exercises that one can do using Pilates equipment. It is good to find a Pilates book coming straight from Alan Herdman who has taught so many of the well-known Pilates teachers. He and Anna Selby have put together a book with clear attractive photos to show all the exercises, good instructions and extra boxes of information. I liked the self-assessment section and was fascinated by the pictures of equipment in his studio. Now I've just got to practise.